It's now been 15 years since the Hungarian producer SveTec is working in the studio and, since many years, is an established artist; who got the respect from all the people involved in the Hardtechno scene. Nowadays, he is considered, by a good part of the HardTechno audience, as the greatest producer of this style ever. 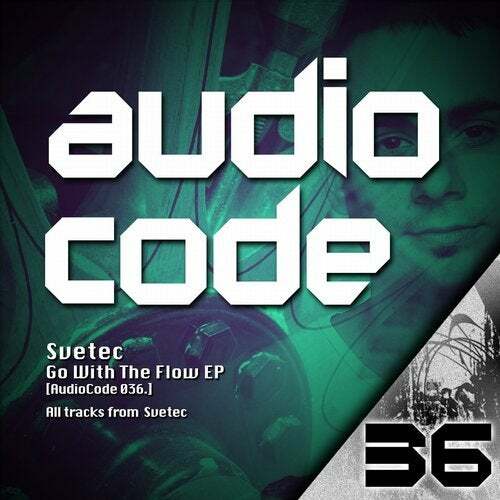 AudioCode Records #36 'Go with the flow' EP by SveTec is no doubt one of the most expected HT releases of this year. The EP features four masterpieces that will be synonym of the peak time of every Hardtechno set played from now on. 'Clash' has a fully funky loop. The correct elements were chosen to build this strong tune. Playable and delightful to dance, it has a very swelling bass line. The break brings forth motivation to enjoy the explosive return of the complete main loop, thanks to its synth notes, the vocal and the drums markings. 'Go with the flow' is dynamic, but more introspective. It has a very melodic break, filled with notes of string elements, as the violin, and long atmospheric chords in the background. But do not get it wrong; the calling to the return of the hard loop is hypnotic and much more than instigating. The return itself will let the crowd more than satisfied. With 'Movin', it will be time to dance with that smile on the face. The main loop brings you up and forward. The combination of its drums and vocals gives it tension and drives the crowd crazy, what makes this track ideal to put the dance-floor upside down. 'The Beast' is definitely mind-blowing. An awesome interaction between the drum loops, drives and theme elements that makes it totally 'jazzy' and heavy. The lyrics in the break are definitely the high point of the track. As all the tracks of the Ep, it has a perfect balance between its frequencies.